Butler Hyundai of Medford Oregon serves the Medford Metro area, Grants Pass, and Klamath Falls. 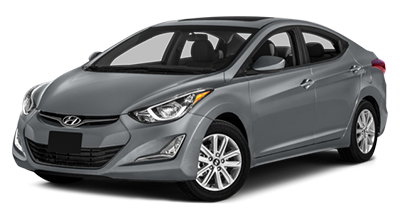 Located at 5000 Crater Lake Hwy, Butler Hyundai has an amazing selection of new cars, like the 2016 Hyundai Elantra, for your everyday needs. From old to young, they have a car for everybody. Let’s see how the 2016 Hyundai Elantra stacks up against the Honda Civic. If you’re looking for a midsize car for your everyday needs you are probably considering the Hyundai Elantra or the Honda Civic. Both cars are not bad choices. The Elantra comes with six airbags strategically place to protect you from all angles. Other standard features include Anti-lock braking system, traction control, Electronic Brake-force Distribution, and Vehicle Stability Management System. The Honda Civic has An Advanced Compatibility Engineering Body Structure, 3-Point Seat Belts, and Front/ Side Airbags. Hyundai has not been a powerhouse among cars but has recently stepped up their game in the car industry. It is safe to bet on Hyundai that The Elantra has more safety features as Hyundai pride themselves in reinventing their name. It's all about driver and passenger comfort when it comes to these cars. In the Elantra, the head space is 40 Inches, and the Leg space is 43 Inches. In the Ford Focus, the headspace is 38 inches, and the leg room is 42 inches. Once again it is safe to assume that Hyundai wins again. The 2016 Elantra comes with a 145 HP engine and has an estimated 38MPG Highway. Engine size is 1.8-liter Inline 4-cylinder. Features include a power tilt-and-slide sunroof, heated front seats, 16-in alloy wheels and a leather-trimmed steering wheel and shift knob. 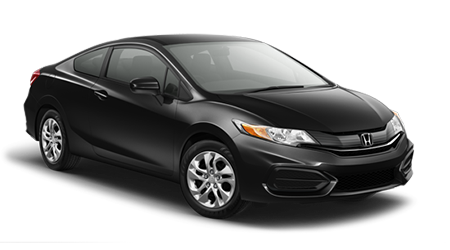 The Civic comes with a 143 HP 1.8liter I4 engine that has an estimated 39 MPG. Features include Continuously Variable Transmission, Paddle Shifters, and a Drive-by-Wire throttle System. If you're looking for a ride to cruise through the street in style consider the 2016 Hyundai Elantra. This sleek ride will have your heart pounding as you drive. Thrill seekers and economical riders will enjoy this ride. Butler Hyundai located in beautiful Medford which serves Medford Metro areas, Klamath Falls, and Grants Pass, OR has cars of all styles for drivers new to old. The 2016 Hyundai Elantra will not disappoint!